I have worked at Grange Primary School since 2006, taking on various teaching & learning roles including ICT Coordinator and KS1 Team Leader before being appointed as Assistant Head with my main responsibility being EY Team Leader. I also have responsibility for teaching assistants across the school. 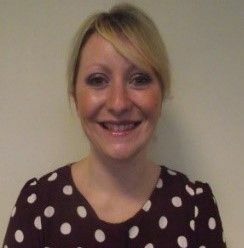 My current role has provided me with experience of improving the quality of Early Years provision through creating stimulating environments, improving parental involvement, improving experiences for children both in and out of school as well as ensuring the quality of teaching. I lead on the facilitation of the Early Years south cluster group to ensure that there is a forum to discuss issues relating to Early Years and allow practitioners to meet to discuss and moderate judgements. Grange Primary School is a school that has places for 2 year old children and because of this; I have the knowledge and skills to support schools to begin their journey with 2 year olds. Being responsible for teaching assistants in my current school has given me the experience of developing the skills of teaching assistants across the school through a detailed CPD programme including school and peer observations, review meetings and tailored training.